All Jersey Walk Adventures staff are local residents with a passion to share their in depth knowledge of the local waters, history and environment of Jersey. A local resident whose family has lived on the East coast for 4 generations. He spent much of his childhood exploring the area around Icho Tower on foot and by sea kayak. The family has a long connection with the sea. His Father often went low water fishing in the gullies while his uncle was a well known fisherman who fished the south coast. Derek spent much of his childhood exploring the area around Icho Tower on foot and by sea kayak. Derek is the trainer for Jersey Heritage Trust Seymour and La Rocco Tower guides and is also a Wild Life Safe (WiSe) trained guide. Jersey Tourism Bronze badge trained guide. British Canoeing Sea kayak coach holding the prestigious level 5 Coach award. First Aid and coastal navigation certificates.Over 40 years sea kayaking experience, including major expeditions to circumnavigate Ireland by kayak, North Scotland, Faeroe Islands and Alaska. He has also taken part in white water-kayaking expeditions in Nepal to paddle the Tamur and Marsyandi Rivers. Derek is a trained teacher who taught outdoor pursuits in the UK. When not kayaking, he has completed long distance mountain walks such as the famous GR20 in Corsica the Pyrenees, Nepal, Azores and Gomera in the Canary Islands. He also undertook an 18 month cycle tour in Europe covering over 12,000 miles. At the age of 10 years Trudie saw the North Sea for the first time. Soon sea shells formed part of her luggage back home to Bavaria in Germany. As a professional tour guide in Britain, Normandy and Brittany this led her into a career as a travel guide book writer for Polyglott and Langenscheidt publishers in Germany. She now works as a free lance travel writer and editor. 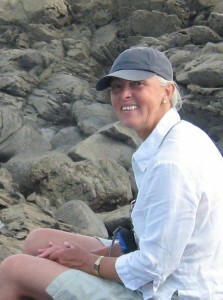 This led her to the Channel Islands in 2002 when she wrote the Channel islands guide book for Merian books. Trudie fell in love with Jersey and the South East coast low tide zone. She happily links her passion for marine biology and local history with her training as a geographer on her guided walks to Seymour and Icho Towers, as well as developing a range of guided walks which explore the marine history and culture of Jersey. She has since moved to Jersey to be closer to the sea. Trudie is often your first point of contact when making a booking with Jersey Kayak and Jersey Walk Adventures. Jersey Heritage Trust Seymour tower and Wild Life Safe trained guide. Outdoor First Aid. Trudie is able to guide both individual visitors and groups throughout the Channel Islands. Keith was born and brought up in London and for as long as he can remember had an interest in the natural environment. Until 1961 when at the age of 16 he moved to Jersey with his family when his father took up a teaching post, he had lived on the NE outskirts of the city and had been encouraged to read good books on a variety of subjects. His main fascination at that time were for Rocks and Fossils, an interest stimulated during geography lessons at school but also a fascination with the underwater world of Hans Hass and Jacques Cousteau and also for Wildlife Watching. The opportunity to come to Jersey gave even more scope to indulge in these interests and to literally become immersed in to the sea and observe by snorkelling, the varied marine life of the close shore and offshore reefs. One memorable encounter was whilst snorkelling in a sheltered channel in the Ecrehous Reef and observing / being observed by a Cuttle Fish only a metre or so in front of his face mask. He also had his first experience of Kayaking at this time when presented with a wood framed and canvas covered kayak that his father had been bequeathed by a colleague who had moved away from the island and so began to learn about the tides. He moved on to an interest in boating and fishing, learning more about the marine life when collecting bait or low water fishing with his father for prawns or spider crabs. Keith is a PADI trained Advanced Open Water Diver with Medic First Aid and also has RYA and BCU navigation qualifications. He holds an NVQ2 ITC Outdoor First Aid Certificate and satisfactory Criminal Records Bureau (CRB) checks to work with young people. As a result of his interest in the marine environment Keith maintained the Marine Mammal Records on behalf of the Société Jersiaise for ten years, undertaking to collate and add to the previous records and provide standardised access to other research groups. This was in liaison with Dr. Peter Evans at Oxford University. Following retirement he had more time to devote to learning and studied the Life in the Oceans with the Open University. He followed this by undertaking a Wild Life Safe (WiSe) course and Jersey Tourism Bronze Badge Guide Course on behalf of Jersey Walk Adventures. Keith sometimes assists on our walks to Seymour and Icho Towers. His interest in the natural environment has been enhanced by sharing it with others and always having the opportunity of learning more with every trip. 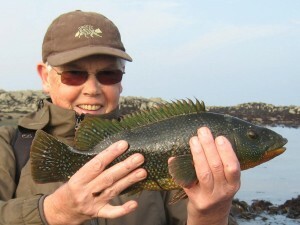 Keith is also able to guide Coastal and Bird watching Walks. All staff hold valid, and up to date First Aid awards, satisfactory Disclosure & Barring Scheme (DBS) checks and undergo Child Protection training as part of our staff training programme. 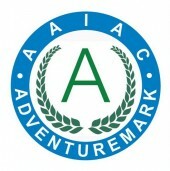 As professional guides, we undergo regular inspection by Adventuremark, a national standard for outdoor and adventure activities in the UK for providers of adventurous activities and also Ports of Jersey who are responsible for safety around the coast of jersey. Walks are to a ratio of one guide to fourteen walkers. At night one guide to ten walkers. This is to ensure your safety, maximise your enjoyment and reduce our environmental impact. Large groups do not allow people to enjoy this unique wilderness. Our staff are Jersey residents and have a considerable knowledge and experience of the area. Some have been low water fishing with their parents and families for many years. 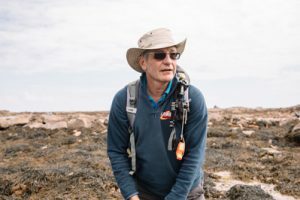 On our seabed walks guides carry first aid packs, mobile phone, VHF marine radio, flares, map, compass, emergency shelter and navigation equipment. We can supply a detailed risk assessment of the areas if requested. As a responsible company, we hold a specific outdoor activities liability insurance policy to cover all our activities. We comply with local laws, employment and tax legislation. The company was one of the first Leader grade members of Eco-Active Jersey and also meets the exacting Gold Award from the Green Tourism Business Scheme. Most of our staff are Wild Life Safe (WiSe) trained guides. Read about our environmental policies and activities here.